We’ve already seen extortion-driven attacks on infrastructure such as cities and ports, which history suggests will continue and spread to energy and transport infrastructure. With the introduction of Industrial Internet of Things (IIoT), manufacturing industry will become a new target. Professional cybercrime is increasingly driven by the simple psychology of extortion, while the almost limitless potential targets are simply a means to a financial end. During 2019, one of these attacks will finally hit home somewhere in the world, causing memorable disruption. “We expect for 2019 IIoT devices will become a major target for cyber-attackers, especially in the manufacturing industry. The trend with Industry 4.0 to use IIoT technology for real-time data collection of production processes will generate a benefit but also produce an additional risk due to the still low maturity of the cybersecurity protection of IIoT devices,” said Airbus CyberSecurity CEO, Markus Braendle. A malware developer applying Machine Learning (ML) targeting and/or self-propagation could create a strain so capable that it might ‘escaped’ beyond its intended targets, causing massive collateral damage. The use of AI in such an event will likely increase the fallout beyond that seen with Stuxnet, Mirai and NotPetya. In addition, ML will be used in a real world cyberattack to automate manual hacking techniques usually only associated with APT threats for the first time. Balancing this, Security Operations Centres (SOCs) will start using AI and ML algorithms as a way of plugging the cybersecurity skills gap. The Security Analyst role will have to adjust to accommodate these new artificial colleagues. “Open Source Machine Learning Libraries/Frameworks such as TensorFlow and Pytorch are making these sophisticated techniques ever more accessible,” said Airbus CyberSecurity CEO, Markus Braendle. “The security concerns that have emerged with some crypto-currencies are likely to lead to closer attention from the financial authorities and stricter regulation as they become more mainstream,” said Airbus CyberSecurity CEO, Markus Braendle. There is a growing danger that people will get hurt because of a deliberate or inadvertent attack on critical infrastructure such as power stations and hospitals. Ideas to address these dangers have included Microsoft’s suggestion of a digital Geneva Convention with an independent NGO, the Global Cyber Attribution Consortium, to monitor compliance. Although this and other UN initiatives could take years to come to fruition, the balance of risks v rewards are steadily tipping towards a system of rules for at least some nations, especially if this had geo-political advantages mirrored in other economic and military ties. A formal cybersecurity treaty of this kind would rest as much on its political and symbolic capital as its technical detail. 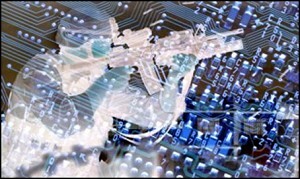 “States needs to advocate the need for cyber cooperation instead of cyber-warfare. Indeed, states have an obligation to work towards such as treaty to make this happen to prevent harmful cyberattack. 2019 could be the year for such an agreement for neighbouring countries,” said Airbus CyberSecurity CEO, Markus Braendle. It has become commonplace for public sector organisations to pay ransom payments when critical systems are hijacked by extortion attackers. This has always been controversial and the rules governing it’s the legality is complex even in developed legal systems. Now, the price of this short-termism is starting to dawn on governments. Payment risks financing new attacks, offers no guarantee against repeat episodes, while the ransom sums themselves have increased tenfold. Attackers are also moving towards ransoming critical infrastructure, a dangerous development. Banning ransom payments might deter extortion attacks and encourage investment in the sort of security designed to avoid them happening. “With the ransom sums being demanded rising dramatically in 2018, a growing number of organisations have been paying up. This isn’t sustainable, especially in the public sector – eventually voters’ patience might snap,” said Airbus CyberSecurity CEO, Markus Braendle. IT and OT cybersecurity must be assessed at the board level and managed as part of an organisation’s corporate risk-management. Too many organisations get distracted by shiny boxes – businesses must always find a balance between spending on response and training as well as detection. If you want to be successful, you need to build multi-skilled teams able to collaborate internally as well as externally. No single department or organisation can do this alone.